This year the seasonal allergies seem to be especially bad. My friends and I have been complaining about it for weeks. I have tried so many different things to help allergies. 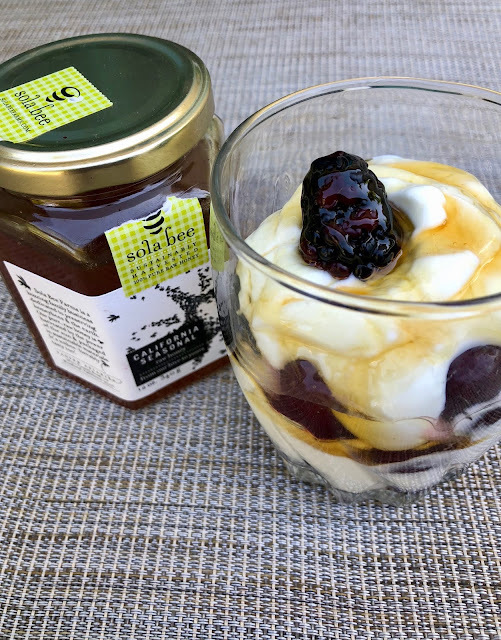 One of the things that has been working for me is adding raw local honey to my diet, my favorite is Sola Bee Farms. Today, I'm sharing 3 each recipes to help add more raw honey to your diet. I've written a post about Sola Bee Farm before. 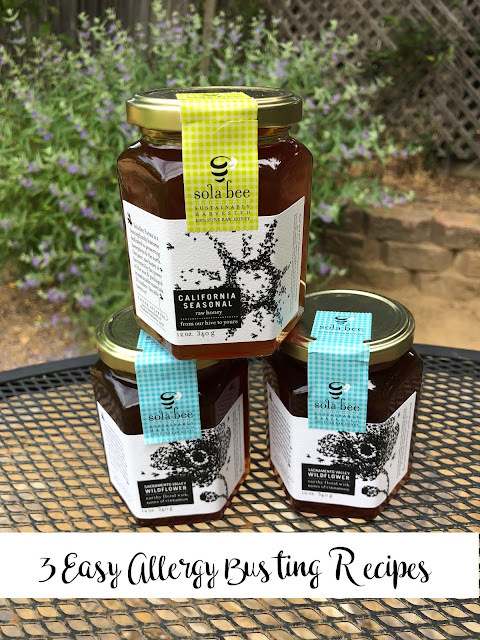 I absolutely love their products, their commitment to sustainability and helping bees, and of course the amazing people! The taste of the honey is amazing and it's a great bonus that it helps your allergies! Just keep in mind that it is better to keep the raw honey in its raw state when you are trying to relieve your allergy symptoms. If I don't feel like making recipes, I will just eat a spoonful of their honey to help with my allergies. However, making some fun recipes is a great way to eat more honey too! An acai smoothie bowl is a fun and delicious breakfast or snack. My kids love this and it's nice to get all that extra fruit into them. Plus with the weather getting so warm, this is a nice way to cool off. I can find frozen acai packets in my local grocery stores. The most inexpensive place I've found is Trader Joe's. Another weird tip, I have a freezer bag of frozen bananas. When bananas start to get old and I don't think they'll be used, I will break them in half and freeze them for recipes. 1. Break up your acai packet and place in food processor with frozen strawberries and banana. If you have a really nice blender, you can use that. If you have a cheap blender like me, use your food processor. It works great for this! 2. Add enough liquid so you can mix all the ingredients together. Blend/pulse until your desire consistency. We like ours thick. 3. 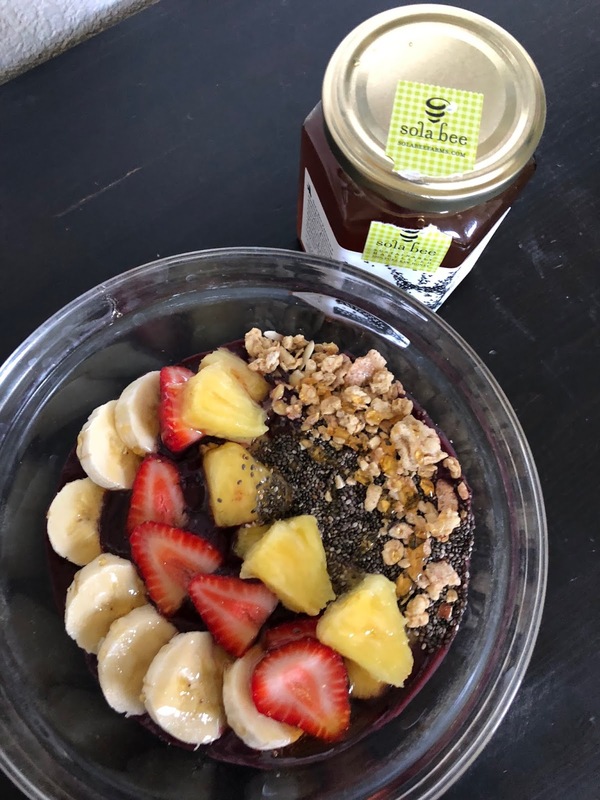 Pour into bowl and top with toppings of your choice. A yogurt parfait is such a classic treat! Using Greek Yogurt amps up the protein. This is the perfect way to use up fruit before it goes bad because your kids can't see if your blueberries are starting to wrinkle or that you cut brown spots off the banana. 1. Find a pretty cup or jar and layer yogurt, honey, and fruit. 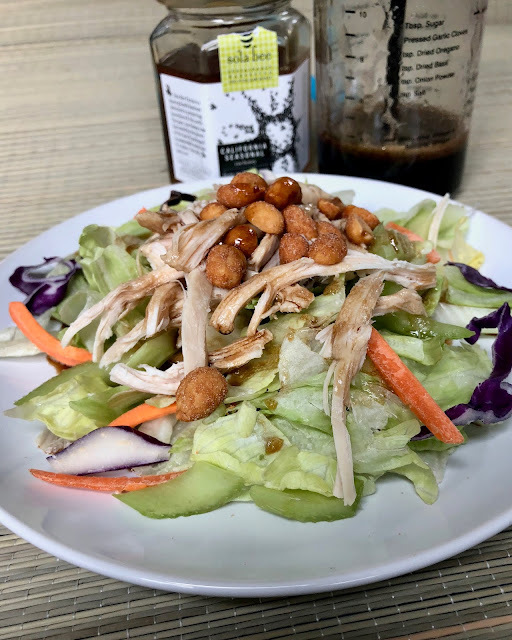 This is my take on LaBou's Chinese Chicken Salad. You can leave off the chicken to make this vegetarian or add tofu or chickpeas. You can also leave off the nuts to make this nut free. I like to make a big batch, keeping the salad, chicken, nuts, and dressing in separate containers until I'm ready to serve. Then I just put a bit of each on a plate and I'm ready for lunch. Directions: Combine all ingredients and stir or shake. Directions: In a bowl or plate, add salad, chicken, celery and top with peanuts. Dress to your liking and enjoy! 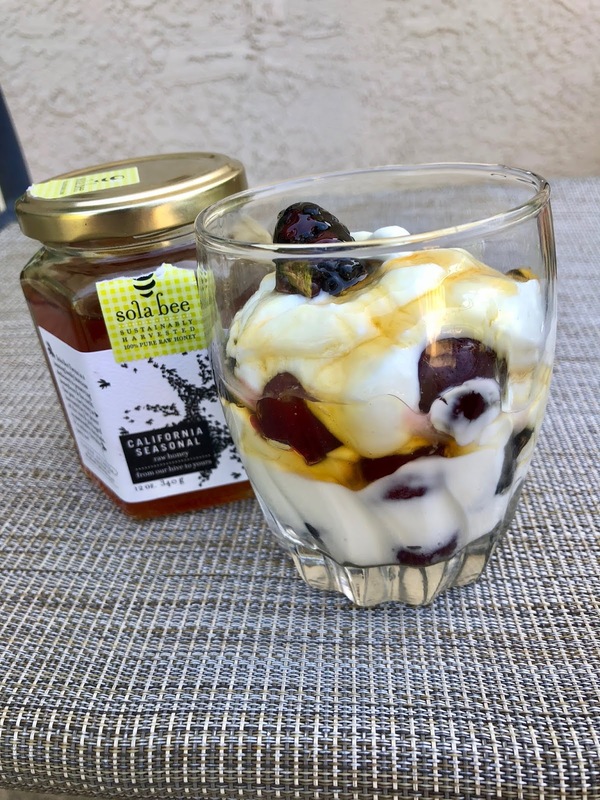 I hope you enjoy these recipes using raw honey! Be sure to check out my friends at Sola Bee Farms! And I REALLY hope that if you need relief from seasonal allergies that these help you! 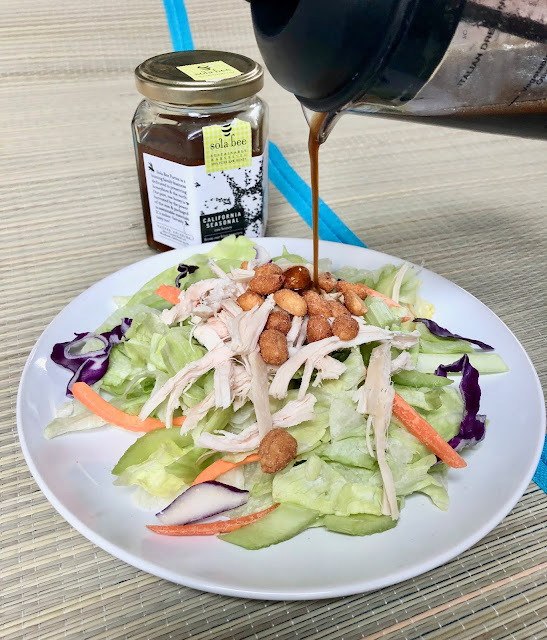 What's your favorite way to use raw honey?